Paul Menard’s No. 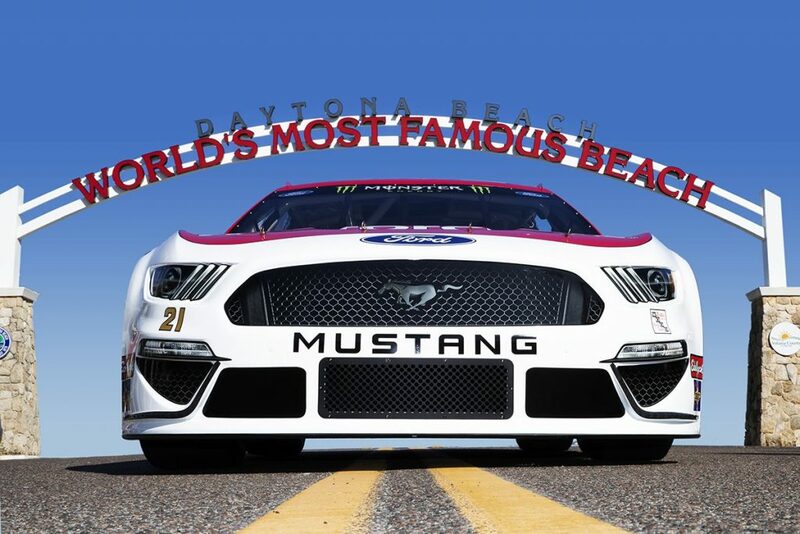 21 Ford Mustang is a living tribute to the work of the Wood Brothers. 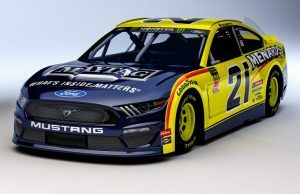 A Wisconsin native, Menard joined the Wood Brothers last season and should he reach victory lane this season it would mark the 100th win for the historic team. 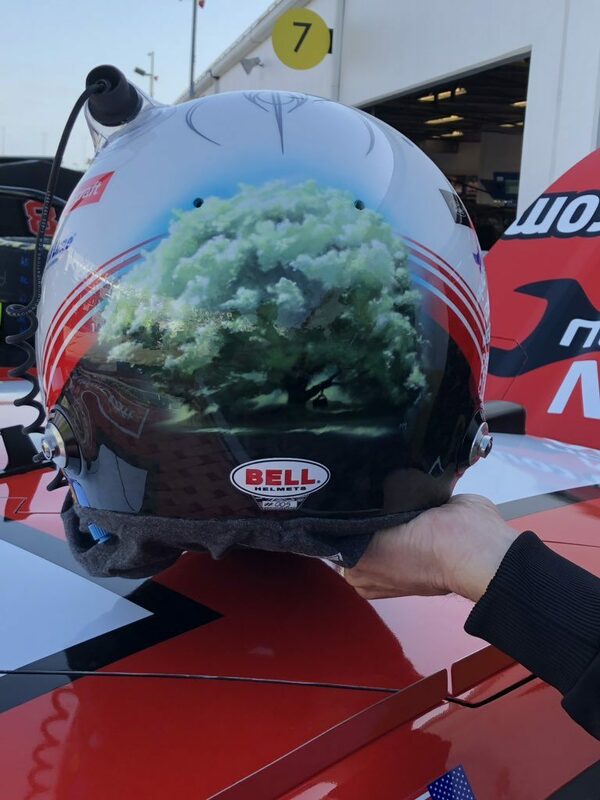 Glenn Wood passed away earlier this year and now Menard will wear a special helmet which shows the storied beech tree that Glenn and brother Leonard worked under according to the team’s twitter account. An engine can be seen in the bottom right corner hanging from a branch. 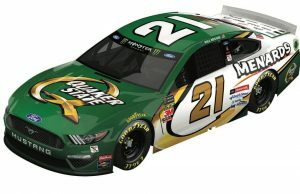 Last season Menard scored one top five finish and seven finishes inside the top 10, the most since 2014. He finished 19th in the overal Monster Energy NASCAR Cup Series standings. By virtue of a pole at Chicagoland Speedway Menard earned the right to be in the NASCAR Clash.